HOWZAT! Check out these unique Christmas gift ideas from the 'home of cricket'. As the ultimate mark of cricket prestige, Lord’s Cricket Ground has a host of great gift ideas for cricket fans this Christmas. From adorable teddy bear cricketers, to the best accessories to complete a day out at the cricket, the Lord’s Shop has a variety of gift ideas at a range of prices. Established in 1814, Lord’s Cricket Ground was founded by Marylebone Cricket Club (MCC) and is known as the ‘Home of Cricket’ around the world. 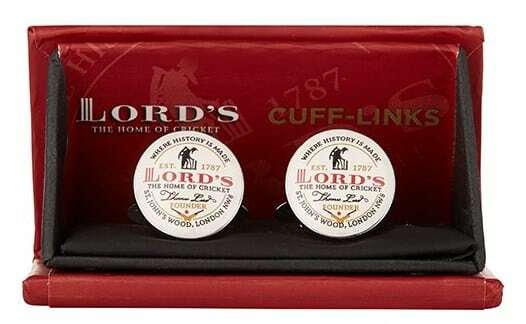 For the discerning cricket fan, the Thomas Lord Badge Cufflinks are the perfect present idea. The cufflinks come in a beautiful presentation box, meaning that any cricket fan can show off their cricketing credentials in a stylish, yet subtle, way. Give the gift of a truly unique piece of cricket memorabilia with a piece of the genuine hallowed turf from Lord’s Cricket Ground, the Home of Cricket. 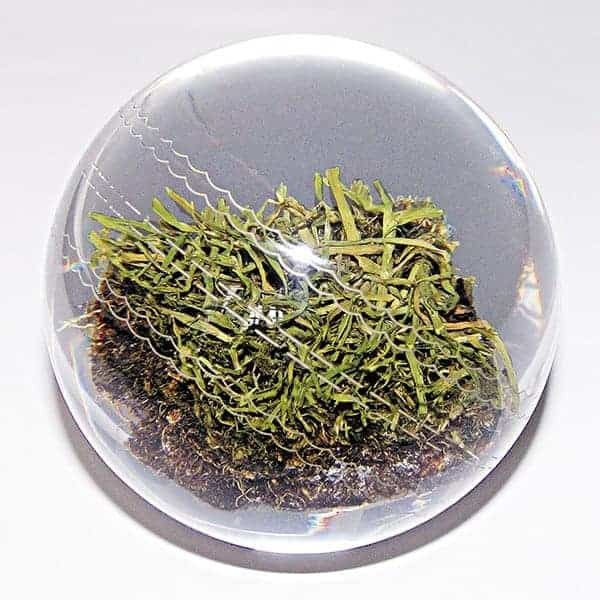 Encased in a glass cricket ball, the practical paperweight will sit proudly on the desk of any cricket fan. This full practice set is perfect for young and aspiring cricketers. 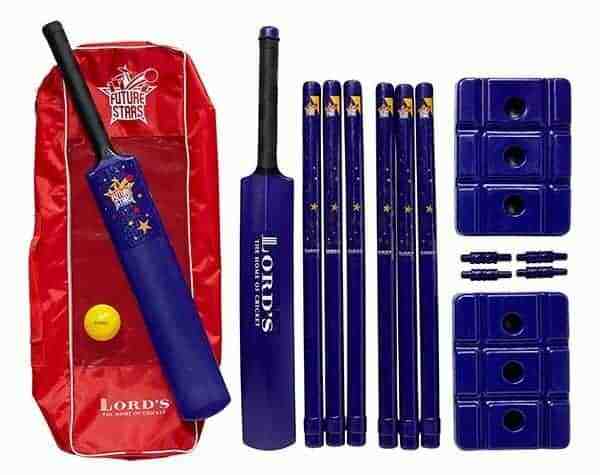 The set contains a pair of stumps, two bats and a ball and is perfect for play and practice anywhere. 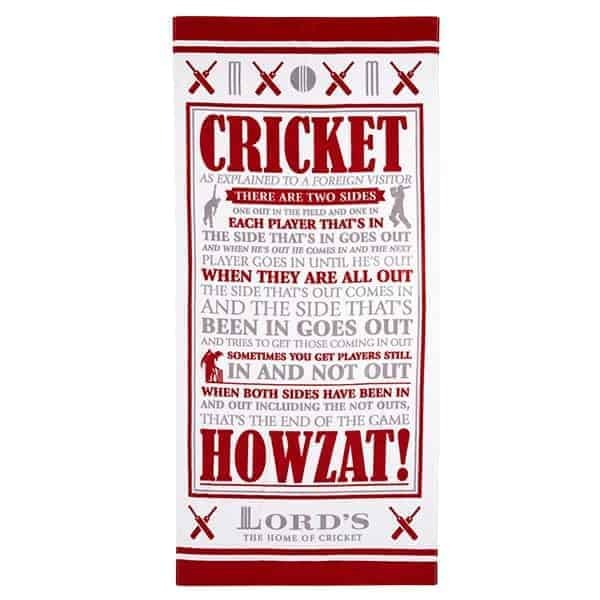 Be the envy of fellow holiday-makers while also teaching the locals a thing or two about cricket with the ‘Cricket: As Explained to a Foreign Visitor’ beach towel and settle any pool side disputes. 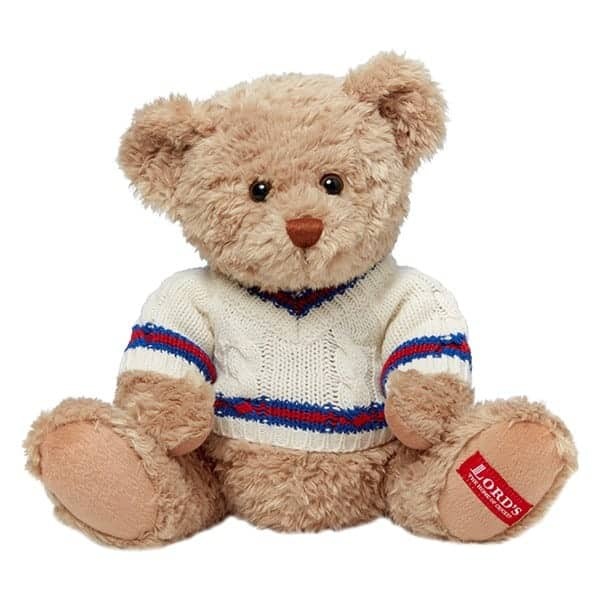 This adorable hand-made teddy bear, unique to Lord’s, comes with his very own cable-knit cricket sweater, ready to join in with a teddy bear’s picnic – or cricket! 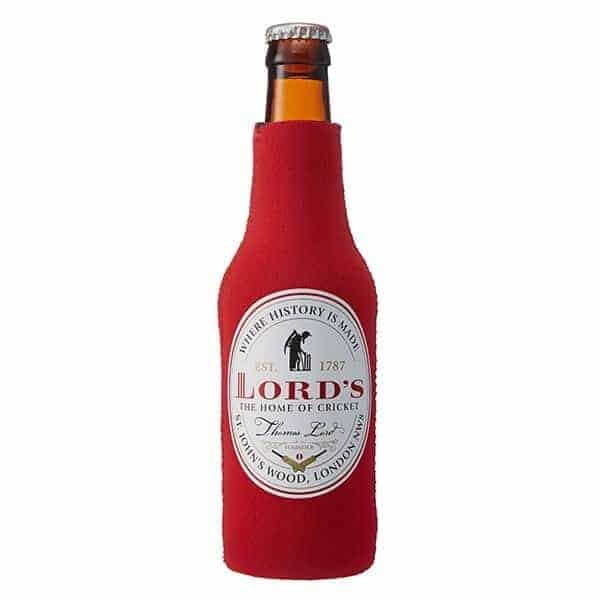 Don’t let warm beer spoil your cricket watching experience with the Lord’s Zipped Bottle Cooler. Suitable for 300ml bottles, the cooler keeps your drink at the optimum temperature so it stays at its thirst quenching best!